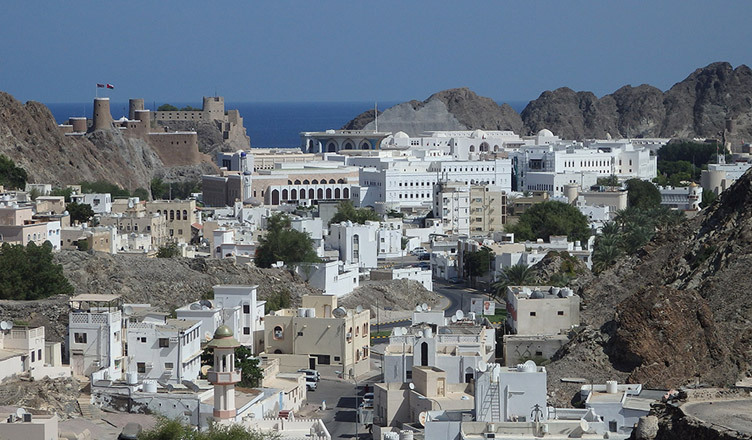 Oman is an Arab country in the Middle East bordering the Arabian Sea, Gulf of Oman, United Arab Emirates, Saudi Arabia, and Yemen. It also shares its marine borders with Iran and Pakistan. Oman is the only member of the GCC situated outside of the Gulf. Strategically located on the Musandam Peninsula, it is considered as one of the important logistics centres of the region. Oman is the oldest independent state in the Arab world and has beautifully balanced its traditional past with modernization and growth. Since the last two decades, Oman has been focused on driving economic growth and has gained the position of a high-income economy and has been ranked 78 in Ease of Doing Business by The World Bank. Oman’s dependency on imported good is gradually decreasing as the Sultanate of Oman is working towards establishing policies that would encourage foreign investors to come to invest in Oman. Development of human resources and capability of the Omani’s to keep up with technical development, manage with the changes therein with high efficiency and face the ever-changing domestic and global conditions. Creating a stable holistic economic climate with a view of developing a private sector which is able to optimize the use of human and natural resources of the Sultanate. To strengthen the mechanisms and institutions which promote the vision and common policies of the government. Create favourable conditions for economic diversification and work towards the optimal exploitation of the natural resources of the Sultanate. Enhance the standard of living of citizens and reduce disparities among regions and different income groups, and ensure that all citizens benefit from the development process. Maintain the gains achieved since the beginning of the Renaissance in 1970. Over the longer term, business reforms such as foreign ownership, FDI, SME support and PPP laws would lead to increase in trade and investment and a further push to the growth will be provided by rising natural gas exports from the seven-year natural gas supply deal signed between BP and Oman LNG. The Sultanate's mineral resources include chromite, dolomite, zinc, limestone, gypsum, silica, copper, gold, cobalt and iron. Several industries have grown up around them as part of the national development process which, in turn, have boosted the minerals sector's contribution to the nation's GDP as well as providing jobs for Omanis. According to the government, the fisheries sector is considered as one of the promising sectors for economic diversification programme. This is due to the fact that the sector has great potential and can contribute to enhancing food security, availing job opportunities for Omanis and maximizing its contribution to the GDP. The transportation and logistics are a growing sector in Oman. Oman is strategically located and is considered as one of the logistics hubs of the region. Amongst all freight activities in Oman, sea transport is the predominant mode, accounting for more than 80% of freight is handled by the Sohar and Salalah Ports. The expansion of the Khazzan gas field has led to many opportunities for business investors, both domestic and foreign, in Oman. Since the demand for natural gas in on the rise, in the upcoming years, this business can reap you great profits. The massive growth expectation of GDP is mainly because of the production of natural gas. There are many more opportunities that the Sultanate of Oman provides to you. To know more about the business opportunities in Oman, Click here. At the instruction of His Majesty Sultan Qaboos bin Said, Vision 2020, a plan for Oman's economic future was set which outlined the country's economic and social goals. It provided with a number of reforms and advantages which would guide the Sultanate towards a sustainable and diversified economy and would create favourable conditions for economic progress. If you are an investor and you are looking for one of the safest Arab nations to establish your business, then you should definitely look towards Oman. We at Business Setup Worldwide would provide all the necessary details to start your business in Oman. Our advisors in Oman are well-versed with all the rules, regulations, and procedures to form a company and shall make the process hassle-free. In case of any query, feel free to contact us.